The long-standing contract with DR, Denmark’s largest media company has been extended to the end of the 2019/20 season. EHF Marketing GmbH, the marketing arm of the European Handball Federation, has announced a six-year extension to its television deal on the Danish market with the Danish Public Service Broadcaster, DR, and the international entertainment group Modern Times Group (MTG). The agreement brokered by leading sports rights company, MP & Silva, will see the long-standing contract with DR, Denmark’s largest media company extended to the end of the 2019/20 season. Under the terms of the deal, DR1 and MTG’s dedicated sports channel, TV3 Sport, will continue to show all the matches of the Danish participants in the VELUX EHF Champions League and WOMEN’S EHF Champions League competitions. DR will show the majority of the matches with Danish participation and TV3 Sport will show a large number of top matches between non-Danish teams, providing extended coverage of the competitions in a country where handball is one of the leading television sports. Commenting on the agreement, Peter Vargo, Managing Director of EHF Marketing GmbH, said: "We’ve enjoyed a very positive working relationship with DR for more than 10 years, and I am certain that this new agreement will continue to bring top-quality handball to Danish fans, whilst boosting coverage with even more top-class matches available on TV3 Sport." DR’s Head of Sports Rights, Jan Rosendal, said: "We are very happy to continue the fruitful cooperation with EHF and with TV3 Sport to bring the Danes the best club handball in the world. The fact that the contract has a duration of six years makes it possible to plan a steady and long development of an already very good product." TV3 Sport MTG Head of Sport, Peter Nørrelund, commented: "Our aim is constantly to provide our viewers with the best sport on TV. And by prolonging the EHF Champions League rights we have secured just that. Handball is developing fast these years, and we love to be a vital part of this development, and at the same time to bring all the excitement, fascination and the superstars of handball close to our customers." Peter Hutton, Joint-CEO of MP & Silva, said: "Our media rights partnership with EHF continues to consolidate worldwide and we are very happy support the growth of handball audiences in Europe and other regions of the world." DR (Danish Broadcasting Corporation) is Denmark’s oldest and largest electronic media enterprise. The corporation was founded in 1925 as a public service organisation. DR is an independent, license financed public institution. DR TV comprises six TV channels, whilst DR Radio comprises three FM stations plus eight channels on DAB (Digital Audio Broadcasting). 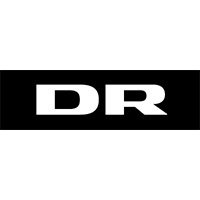 www.dr.dk is the largest Danish Internet news provider. Modern Times Group (MTG) is an international entertainment group with operations that span four continents and include free-TV, pay-TV, radio and content production businesses. MTG’s Viasat Broadcasting operates free-TV and pay-TV channels, which are available on Viasat’s own satellite platforms and third party networks, and also distributes TV content over the internet. MTG is also the largest shareholder in CTC Media, which is Russia’s leading independent television broadcaster. EHF Marketing GmbH is the marketing arm and subsidiary of the European Handball Federation. The company works closely with marketing and media partners, as well as with Europe’s leading clubs to realise the full potential of the sport on the international sports market. EHF Marketing GmbH is responsible for the marketing and media rights of club competitions including the VELUX EHF Champions League, WOMEN’S EHF Champions League and the Men’s EHF Cup. MP & Silva was appointed by EHF Marketing GmbH in June 2013 to be its exclusive international distributor of the media rights of its top club competitions for a seven-year period. The multi-media rights cover cable, satellite, terrestrial, betting, mobile and internet platforms from the season 2013/14.